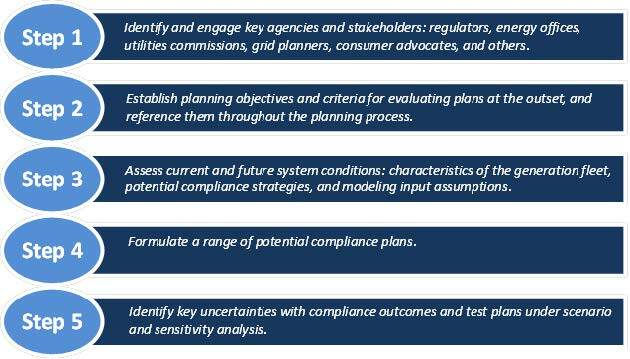 The report, Best Practices in Planning for Clean Power Plan Compliance, walks consumer advocates through steps for formulating a compliance plan, from engaging key agencies and stakeholders to designing a modeling process that will illuminate which plan best meets each state’s goals. While the final EPA rule will not be released until mid-summer 2015, the report gives consumer advocates—critical players in the planning stage from a ratepayer perspective—a head start in effective participation. The report was prepared as part of a larger project in which Synapse is providing outreach and informational materials related to the Clean Power Plan to NASUCA and its members. Synapse previously prepared a report explaining the details of the proposed rule, and is currently performing multi-state modeling analysis using the Clean Power Plan Planning Tool (CP3T) to identify and explain the challenges and opportunities related to multi-state compliance. The work is funded through a grant from The Energy Foundation.